During my second job out of college, I was working a corporate job located in the middle of Midtown Manhattan. I was adulting. I had a desk, clients, business cards, a blackberry (I’ve totally just dated myself!) and even an intern. In actuality, my company was poorly managed with high turnover and the only lights I saw Monday through Friday were fluorescent or computer screens. I had endless to-do’s with little know-how of how to actually complete the to-do’s. After yet another night of staying well past 6:00 pm to figure out a task, the emails were flooding in. Cue the tears. What was the point? Was this what years of schooling was all about? Was this…it? I wanted to dedicate myself to something I cared for. I wanted purpose. I wanted to change the plot of my life. I decided to take time off and re-evaluate my life so that I could prepare to write a new life script. I wanted to explore what was beyond the corporate world. I went to New Zealand for a month, followed by Australia to visit family. And something happened on that trip that changed everything for me. I went hiking. Growing up in New York City I knew nothing but the concrete jungle. Yet here I was climbing the mountains of Nepal, New Zealand and Australia and eventually in the jungles of Thailand and Indonesia. I wore possibly the most naive hiking footwear—Keds sneakers—that at times pooled with blood. I didn’t care. The outdoors ignited something in me I never knew I had, and now I knew I could never go without it. Eventually my holiday working visa expired and I could no longer work odd jobs to support these adventures. I returned home longing for more. But not just for another adventure, something that would give the adventure and me purpose. At the time I didn’t have the finances or mental capacity to travel abroad again just quite yet. So I looked at programs that were offered specifically in the U.S. Many people that I met abroad actually told me that America was one of the most beautiful places they traveled to. So I thought it would be a good time to explore within my country beyond the windows of New York City’s subway windows. 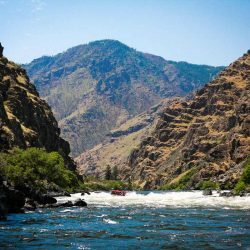 I spoke with a neighbor who told me about Outward Bound, a non-profit educational organization that offers expeditions across the U.S. and abroad, of various activities such as rock climbing, mountaineering, dog sledding—and more. What actually captured me was the emphasis on character development; I loved how Outward Bound focuses on personal growth and applying new learnings to life after an expedition. Their focus on introspective growth, leadership, communication and confidence building is what I deemed essential to moving forward in my life. 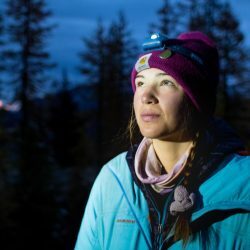 This was not something I found even mentioned in other outdoor organizations that offered similar courses. 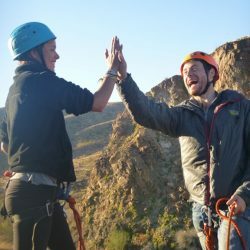 I felt that an experience with Outward Bound would bring purpose to my new love of the outdoors. 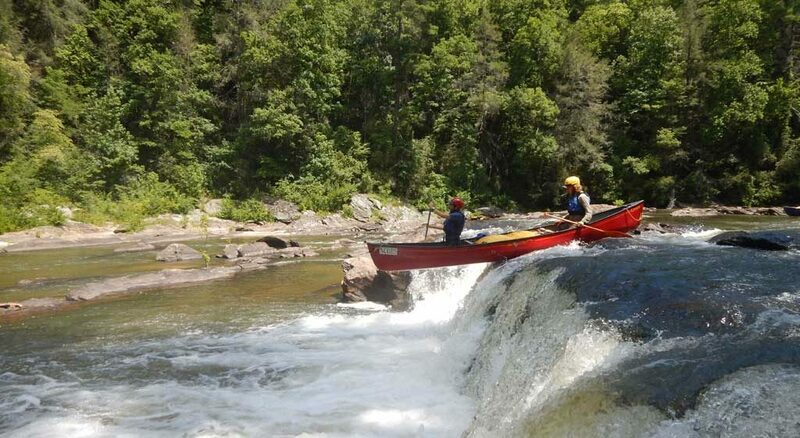 The following week I enrolled in an Outdoor Educator course in North Carolina where I would backpack, rock climb and whitewater canoe for 50 days. The Instructors on my course taught us a plethora of outdoor skills. These lessons set us up for success so that we could take these skills and the course into our own hands. Soon enough we were tying the knots for our harnesses to rock climb, hanging bear cans, packing 50 lb packs with perfection, calculating our mileage and making homemade cinnamon raisin bread in the middle of the woods! One of many takeaways was the importance of completing tasks with craftsmanship not only to benefit yourself, but anyone else it could impact. I mentally and physically pushed myself further than I ever thought I could. Like life, mother nature has unexpected challenges. Whether it was getting to a safe location due to a lightning storm, or realizing we had gone the wrong direction and had added four miles to our day, there was no time to procrastinate or make excuses. The consequences were real. If I didn’t set up my tarp correctly, I’d get rained on all night. The rewards were undeniably up to me to achieve. Myself and crew members, who became my family of the wilderness, had to work together to navigate and overcome obstacles. Being part of an Outward Bound crew was the first time I ever felt important and needed. Making sure others felt the same was just as rewarding. 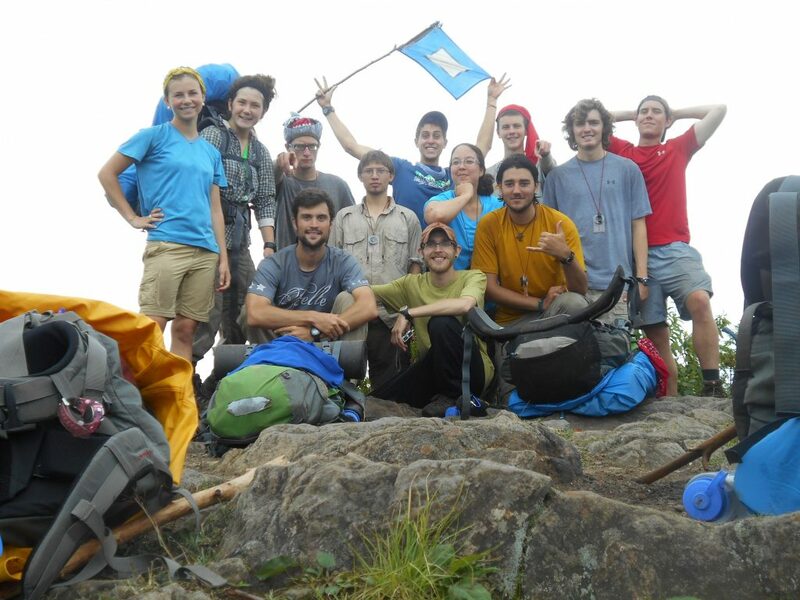 With that said, living in the wilderness for 50 days with six other students and two Instructors 24/7 presented obvious challenges. We had to act as a crew, not passengers. If someone threw a stone into our hypothetical river, everyone would feel the ripple effect. We learned communication skills and conflict-resolution tactics that helped organize tempestuous thoughts and actually express them in an effective manner that would resolve the issue. Who knew?! I still use those tactics to this day and have even taught them to friends, family and my own students. We ran our own meetings to decide on our next steps, listening to each other’s fears, passions, preferences, and in 50 days, life stories. We shared a beautiful and bizarre bond. Our novels were topographical maps. Pillows were fleece jackets filled with extra layers. Showers were the rain and rivers. Hugs strong, smiles big, hearts bigger. After only a few days into my expedition, I knew this was going to be an experience that would change me forever. I found the direction I had been craving but didn’t know how to pursue it. My love for the outdoors and my life had purpose. Stepping off of the hamster wheel and into the wilderness was definitely outside of my comfort zone. But when your comfort zone is stretched, you truly see what you’re made of. The things that seemed scary were now achievable. I could climb, I could cross rushing rivers, I could be a team leader, I could be vulnerable. I was now ready to return home to see what else I could do. 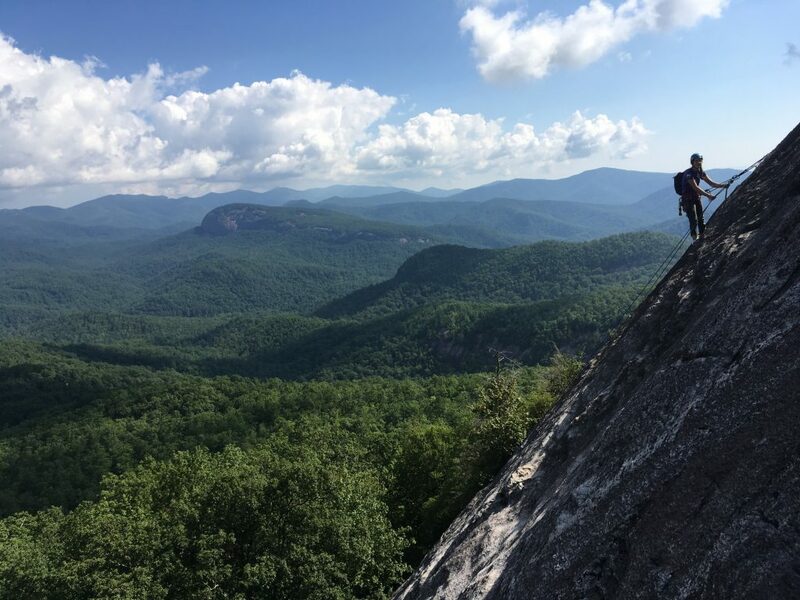 Olivia Shea is an Outward Bound alum and native New Yorker who temporarily trades in her high tops for hiking boots to instruct for NYC Outward Bound Schools.